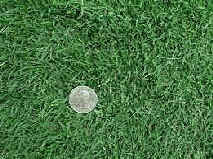 The cheapest and most successful solution for a Real Grass Lawn in Spain all year round. Beautifully Soft underfoot through to Coarse and hard wearing. All our grasses are single species or selected hybrids (not mixtures), and have been selected and home grown by us for the Spanish (Mediterranean) climate. Each grass has its own advantages. 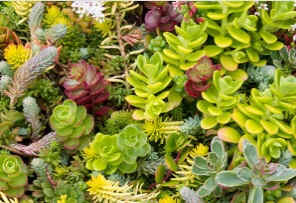 All are drought resistant or low watering, low or no mowing, self repair, low fertilising. 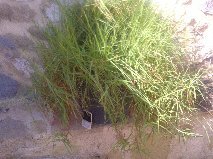 These grasses are only available direct from us in Benissa. 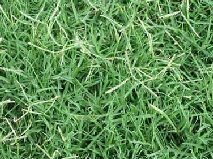 Our warm season grasses are creeping type (not bunch) grasses, so unlike conventional UK type (cool season) grasses, when you have a damaged area, our grasses will self repair relatively quickly. 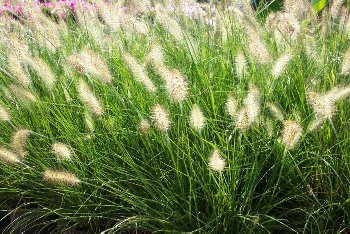 UK type grasses are mostly bunch type grasses so if you have a bald patch, unless you sow more seed, you will permanently have a bald patch. This is why we sell plugs - they spread sideways. 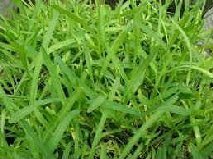 We propagate all our green grass types by stolons (runners) not seed, because in most cases the seed is either sterile, or difficult or very slow to germinate. 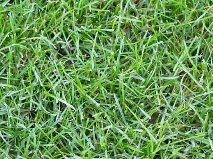 We specialise in lawn or turf grasses to suit most peoples preferences for a lawn. 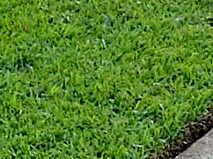 Fine bladed olive green grass. 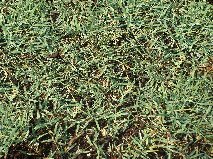 Overseed with: Winter Green (Type PA). Mowing: mow at 2.0" or less. Soil: Prefers well drained reasonably rich loamy soil. Fine blade fast growing dark green grass. Mowing: mow at 1.5 - 2.0" to remove seed heads. 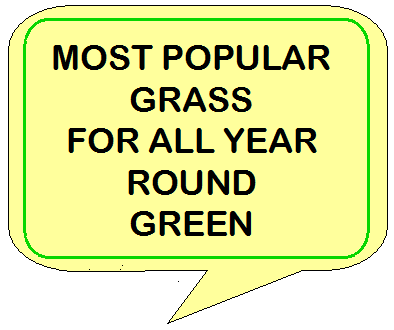 Colour: Nice dark green lawn. Maintenance: Reasonably low maintenance but needs regular mowing. General: Frost tolerant and stays green all year. 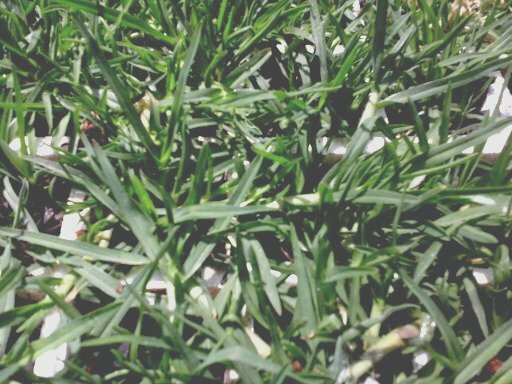 Fine bladed, green grass. Similar to Med Fine. Grows slowly. 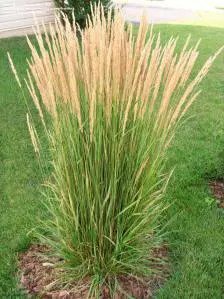 Note: Extreme grass will go dormant turning a golden brown when the first winter killing frost arrives. Extreme is one of the last to go dormant and the first grass types to come out of dormancy and 'green up' in the Spring when soil temperatures reach around 50 degrees. Wear tolerant, shade tolerant. 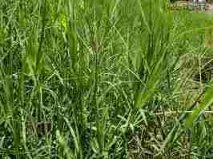 Small slow growing, slightly more upright and faster growing than dwarf, fine bladed olive green grass. 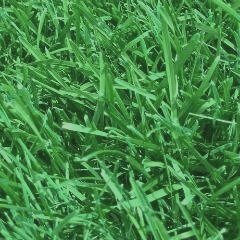 Fine bladed green grass. Similar to Fine Green, but lighter green and more compact. Needs more water. Fast growing. 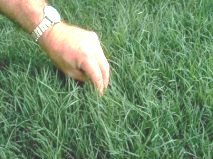 This is the top of the range, finest garden lawn grass before you enter the realm of even finer high maintenance golf grasses. 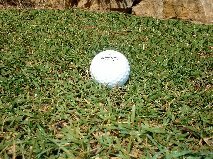 For best putting green results, mow down to 1cm, roll and top-dress frequently. Drought tolerant but needs watering and feeding if used as putting/bowling green. 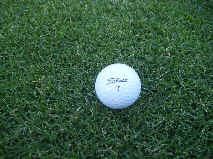 Overseed with: Winter Green (Type PP). 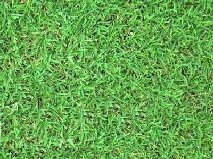 General: Course to Medium Light green grass. Nice visual lawn. Tolerates shade. Low maintenance. Watering: Least of our drought resistant, but still reasonably drought tolerant Wear: Not wear tolerant. Mowing: Mow no less than 2.5"
Medium but slightly coarse green grass. Mowing: mow at 2.0" or higher. Must keep blades sharp. Do not strim. Vigorous growing habit. 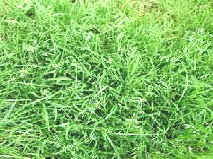 General: Nice green, but does not produce a thick carpet lawn, so suitable for larger areas. 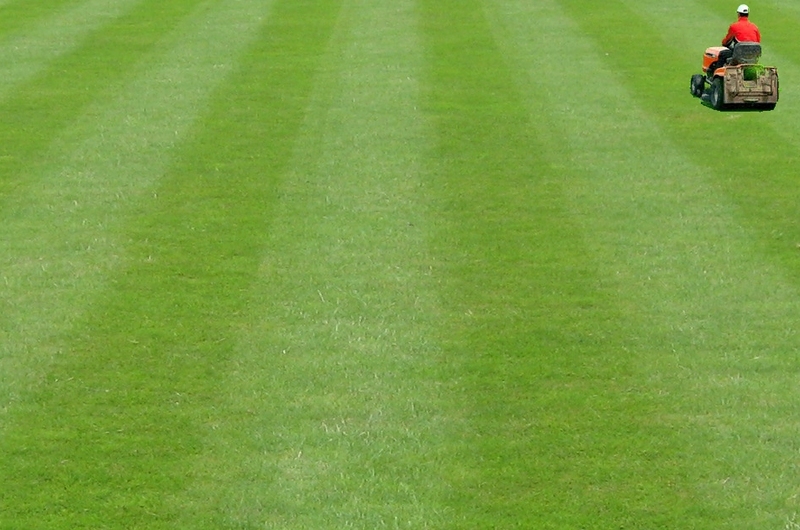 Low maintenance for mowing and fertilising. Slightly coarse underfoot. Tolerates infertile and sandy soil. Prefers slightly acid soils. Our most drought resistant grass. It has a medium coarse blade and is not suitable for soils with high a pH. Its roots can extend up to 8' deep. Not an aggressive spreader and does not require excessive fertilization. When fertilizer is applied, it should contain iron, especially if the soil pH is 7 or more. Moderate shade tolerance. 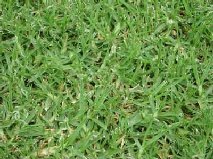 General: Medium to Fine Grey green grass. Nice visual lawn. Low maintenance. Soil: Will tolerate less soil preparation. Will make a lawn in the cracks of concrete paving. Fine bladed medium green grass. 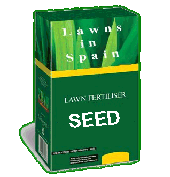 Use as nursery grass, winter lawn or over-seed Lush. 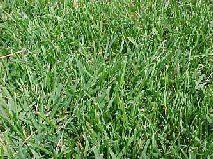 Gives a beautiful green lawn throughout the winter. Mow at 2.0". Not drought tolerant. Struggles in the summer months. Will need watering. It prefers full sun, although it can tolerate some shade. 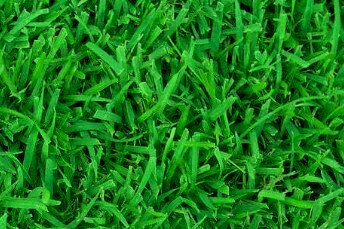 Fine bladed dark blue-green color grass. Less problematic than fescue. 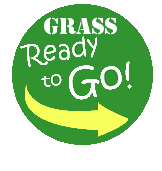 Use as nursery grass or winter lawn. 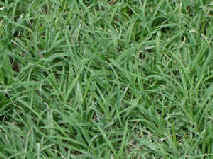 Gives a beautiful green lawn throughout the winter. Mow at 2.0". Will survive the summer, but needs some watering as roots are more shallow than "F". This grass creeps so also sold as plugs. Grass for shady areas. Under trees, beside hedges and north facing walls. This grass does well in shade and will probably last all year round. If you want to grow Type "L" successfully in a shady area, consider planting a seed mixture containing other seed varieties along with the type "L" seed. Type "L" mixed with Type "FS" seeds, for example, will allow for quick establishment as well as shade tolerance. 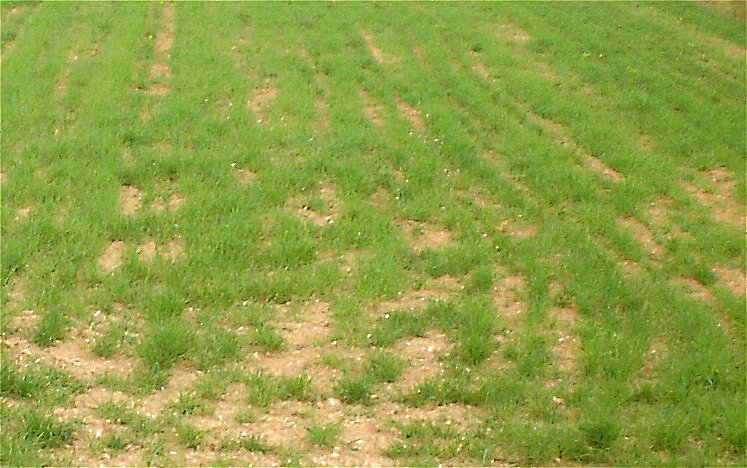 Combining grass varieties also helps ensure that an entire grassed area isn't devastated by one climactic event or disease. 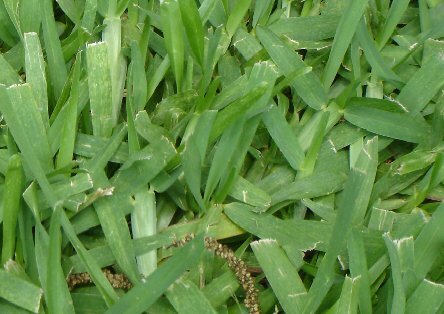 Keep in mind that type "L" has a tendency to prevent other grass varieties from establishing successfully if it makes up more than 15 to 25 percent of the seed mix. Fine bladed olive green grass. For best putting green results, mow at 1 cm - 1.5 cms, roll and top-dress frequently. Otherwise low mowing maintenance. 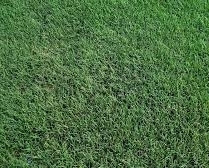 Fine bladed green grass. Similar to Fine Green, but lighter green and more compact. Needs more water. Fast growing. This is the finest garden lawn grass before you enter the realm of even finer high maintenance golf grasses. 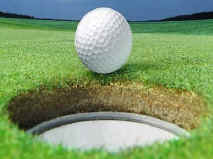 For best putting green results, mow down to 1cm, roll and top-dress frequently. Drought tolerant but needs watering and feeding if used as putting/bowling green. This a Cool Season grass. 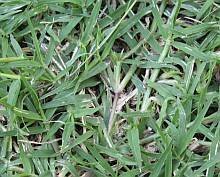 Fine bladed grass. For best putting green results, mow down to 1/4" or less, roll and top-dress frequently. High maintenance. 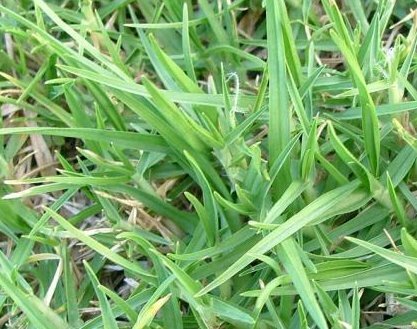 Needs watering, feeding and mowing regularly during growing season. Fast Growing. Does not tolerate heavy wear. Sow in the Autum at 1 Kilo per 30M2. Fast growing. No need to water. 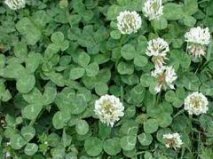 Can be mixed with clover for optimum results. Once established requires no watering. Can be grazed direct or cut for hay. Cost 5.00 euros per kilo. Wintergreen Type "L"
Sow at 1 Kilo per 100M2 Wintergreen Type "PP"
Perfect for fallow fields to restore soil nitrogen or autumn feed supplement for horses. S.E.G. Use when cut or dried. Growing Season begins March. Large green leaf and cascades of red flowers in the summer. 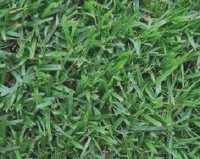 Aggressive, spreading grass, so best planted in containers. Tall growing (up to 1M ). Does not spread. 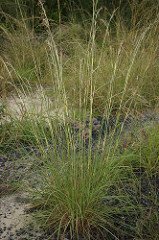 All our warm season grasses are drought resistant and by their very nature are capable of surviving, where other grasses do not. This feature makes them intrusive species. 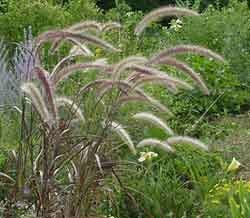 Ample protection must be in place for flower borders and other areas that these grasses will inevitably invade. 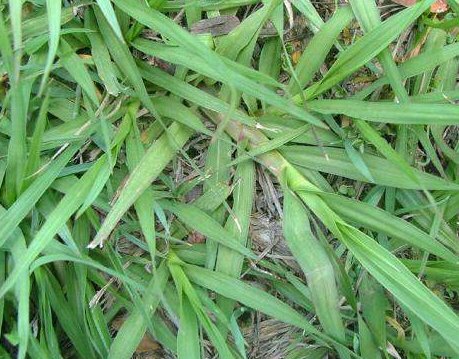 In more Northern or wetter climates, or where grown where invasion into finer manicured lawns, these grasses would be considered as an undesirable invader or indeed a weed. 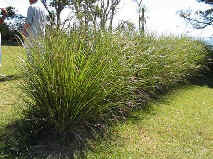 However it is exactly these characteristics that make our grasses desirable for low watering and low maintenance lawns. Indeed, irrigation, over watering or overfeeding can render these grasses a real problem.